In 1931 the Provincial Minister of the Irish Capuchins, Br. Kevin Moynihan, held out a challenge to his friars: to take on responsibility for a huge mission-field in the heart of Africa. The place assigned to them would be Barotseland, in the Upper Zambezi valley in what is now western Zambia. A courageous group of friars took up the challenge. Undaunted, they set to work. Brs. Casimir, Seraphin, Phelim, Declan and Killian had a friary built in the town of Livingstone. This house doubled as a chapel for the Catholics of the town. 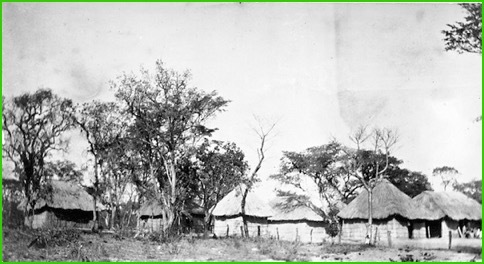 In 1932, the friars launched out into the interior, establishing a centre at Loanja, about 150 km north of Livingstone. The new mission was named after Saint Fidelis of Sigmaringen, the first Capuchin martyr. Within two months they had built houses for themselves and their workers, as well as a church and a school. These were “pole and dagga” structures: the walls made of poles set into the ground; the walls of interwoven wattles, plastered with mud; the roofs were thatched. Br. Seraphin was the master-builder. The school with its boarding quarters had about 30 pupils on its roll. Gardening was one of Br. Declan’s many talents, an essential one in an isolated area where there were many mouths to feed. Br. Phelim concentrated on acquiring a good grasp of Silozi, the language of Barotseland. The catechism was translated and printed in 1933. This was followed by a translation of the New Testament. The friars at Loanja continued to plan for expansion. Br. Declan had done his research. He noted, "I have spent six months investigating and I travelled 2,000 miles, with 700 of that on foot. 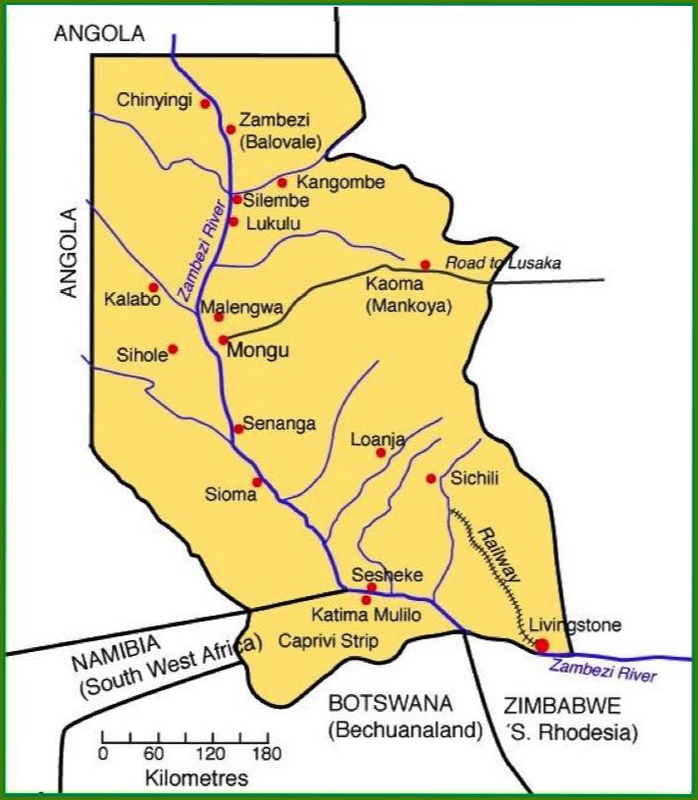 Now the general idea is to work up a series of stations linked all the way to Balovale with the first in Sesheke.” Balovale, now known as Zambezi is about 500km to the northwest, as the crow flies, while Sesheke is about 150 km to the southwest of Loanja [See Map]. Br. Declan's “general idea” gradually became concrete reality. In the following years, 21 Capuchin missions were established throughout Barotseland. Each friary, besides being home to the friars, was a base for their outreach in many fields, one of the most important being the field of education. all our forces.” Br. Killian was appointed Prefect Apostolic of Victoria Falls in 1936 and in the years ahead used his great energy and managerial skills in the development of what was to become the diocese of Livingstone. He would later use those same talents in his role as the first Secretary General of the Bishops’ Conference of Zambia. 1936 also witnessed the arrival of the Holy Cross Sisters. This congregation was founded in 1844, in Menzingen, Switzerland, by Br Theodosius Florentini, a Capuchin, and Mother Bernarda Heimgartner in response to a specific need, that of education - especially of the poor. Like the Capuchins, this congegation draws its inspiration from St. Francis. The Sisters devoted themselves not only to teaching but to the care of the sick. An orphanage also was opened in Sichili. Later, the Holy Cross Sisters ran secondary schools in Lukulu and Malengwa; programmes for women's education and training in sewing and secretarial work, a nutrition centre in Mongu (pioneered by Sr. Edelburgis Nagl); and teacher training. Promoting education obviously involved the training of teachers; and as early as 1937 Br. Christopher Crowley, Phelim O'Shea and Gerard Joyce began planning a Teacher Training School in Lukulu. Initially the student body was made up of men, but in time a limited number of girls began to train as teachers. The importance of educating girls was also recognised as a priority. As Br. Phelim frequently said, "Educate a man and you educate an individual; educate a woman and you educate a nation." By 1959 male teacher training candidates went to the Jesuit training facility in Chikuni, and the Lukulu school became an all-women Teacher Training College, under the direction of the Holy Cross Sisters, the first in the country. In 1965 it was moved to Malengwa near Mongu in a new building constructed under the direction of Br. Brian Browne. Subsequently it became co-educational again. The rapid progress in the building of schools and the spread of education in the early years was remarkable, since the colonial government made little or no provision for such services. It was largely due to the generous financial support of ordinary people in the home provinces and the fund-raising work of the Capuchin Mission Offices. With so few resources, it is amazing to find that in 1974, when the primary schools were handed over to government control, the Diocese of Livingstone handed over about 220 primary schools to be administered fully by the government. anguage and the country, to understand local customs and to appreciate the local culture. Among the many dedicated catechists who served the Church through the years were Henry Sinjwala (pictured right), Gabriel Munyamu, Benedict Nambota (left), Petulu Kasavi, Joseph Sitali, William Piti Simusuka, Philip Sibole, Stephen Samuchi, Joseph Chihingi, Leonard Petulu, Arturo Sioma, Sylvester Mufaweli Mukwe and Peter Libala. Other religious congregations arrived to build up the fledgling Church and serve the people. The Franciscan Missionaries of the Divine Motherhood arrived in Zambia in 1946 and established a hospital in Kasaba. In 1948 they came to work with the friars in Barotseland, establishing hospitals in Mangango, Sesheke and Chinyingi. In 1950 our "Br. Phelim" became “Bishop T.P. O’Shea", the pastor of the newly-established Diocese of Livingstone. Ever the simple, prayerful friar, concerned for the poor, he led the diocese for almost 25 years. 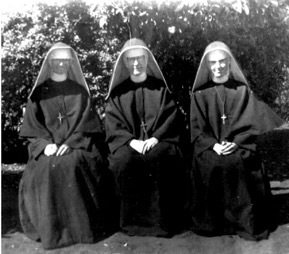 He invited the Franciscan Missionary Sisters for Africa to Livingstone where, apart from teaching and nursing, they provided the launching pad for a new Zambian congregation, the Little Sisters of St. Francis. 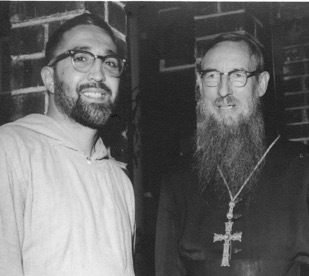 In 1964 the Irish Capuchins were joined by friars from the New Jersey Province. They took responsibility for the northern part of the diocese which had been separated from Barotseland in 1941. Initially based in Chinyingi, they established two other missions, Zambezi and Kabompo. Some of the New Jersey friars, including Br. Roch Robito (seen left with Bishop O'Shea) were skilled pilots, and they used a small plane to reach isolated areas, such as Katuba, Muyenge and Chikangi, as well as to travel to Lukulu, Mongu or Lusaka when necessary. Br. Roch along with Sr. Delphina Kerrins and five others were tragically drowned while taking a patient and her family across the Zambezi at Chinyingi on the night of 15 December 1971. This accident prompted Br. Crispin Valeri to set about building a footbridge at Chinyingi which was finally completed in 1975, with the help of donations. It is still the only bridge over the Zambezi upriver from Sesheke and has earned a amount of fame, being featured in films, books and magazines (including the October 1997 issue of the National Geographic magazine). But more important than its fame is its practical value to the people of the area. In 1964 the Christian Brothers arrived and took over St. John's Secondary School in Mongu and In Lukulu. In September 1970, the Presentation Sisters arrived in Mongu. They set up Cheshire Home in Malengwa and and orphanage for AIDS orphans in Kaoma, also under the aegis of Cheshire Homes. In February 1971, six Irish Spiritans arrived and were joined by nine others, some from Tanzania, over the next few years. They worked in the southern part of the Diocese. In 1983 the Oblates of Mary Immaculate (OMI) arrived and took over responsibility for Lukulu, Kalabo and, a few years later, Limulunga. In 1986 Divine Word Missionaries arrived and assumed responsibility for parishes in Livingstone. In 1987 the Holy Spirit Sisters came to Zambia and worked alongside the Oblates, setting up a multi-purpose centre in Limulunga and providing a variety of services in education and development. Other missionary personnel included Fidei Donum priests from Poland the United Kingdom, Italy and Croatia. Today, in the territory originally assigned to the Irish friars, 18 different religious congregations have a presence. There are 31 busy parishes in the territory. These parishes are presently served by about 35 diocesan and a similar number of religious priests. Each parish abounds in apostolic groups and movements of many kinds, responding to the many spiritual and social needs of the people. Liam Cronin, who with the help of Angolan refugees built a dam and set up a hydro-electric plant in Mangango to provide electricity for the hospital and mission. 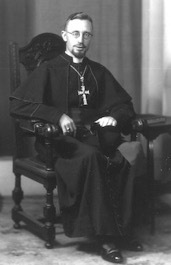 When Bishop O'Shea retired in 1975, he was succeeded by Msgr. Adrian Mung’andu. The consecration of Bishop Mung’andu was a sign of a Church coming of age. Strong, post-Vatican II “winds of change” continued to be felt, as the Church in Zambia consciously set out to become self-sustaining in ministry and in mission. The “Small Christian Community” model of Church was encouraged, making for wider and more effective participation by the faithful in all aspects of Church life. Many young people too began to answer God’s call to the priesthood and religious life. Over the years a total of 102 Irish friars and 17 New Jersey friars have served in Zambia. The numbers peaked towards the end of the 1960s when there were 62 perpetually professed friars in Zambia. Having laid the foundations of a vibrant local Church, the friars began to promote their own Capuchin way of life. On this, the 80th anniversary of the Capuchin mission to Zambia, the number of professed Zambian friars has risen to 52. Among the friars, an obvious transition has taken place. From being primarily a group of missionaries engaged in building and managing parishes, the focus now is on building strong local fraternities, witnessing to the Gospel primarily by the way they live and work together. This is not so much a diminution of mission, as an enrichment of mission. The Capuchin way of life is a precious contribution to the wellbeing of the Church. The first Capuchin missionaries to Zambia planted. Others watered, but God gave the growth (1 Corinthians 3:6). May “Christ Jesus, God’s Good News, the first and greatest preacher of the Gospel” (Capuchin Constitutions, no. 174:1) bless and richly reward all who have been, and are, part of the great enterprise of the Capuchin mission to Zambia.